OK, so it’s been far too long since I’ve made a post. I know. I’ve been working hard on my building project to move back into the funeral home. It’s hard to believe I’ve been working on this for over a year now. Like lots of projects, one thing always seems to lead to another and the small thing we were going to do turns into several big projects. So here’s where things stand right now. 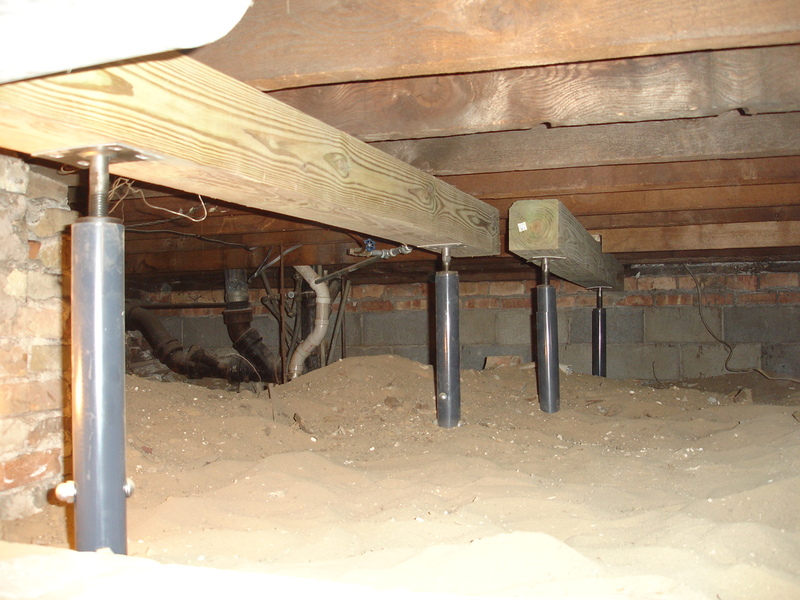 I jacked up the main floor under the living room and the kitchen and repaired the cut and broken floor joists. 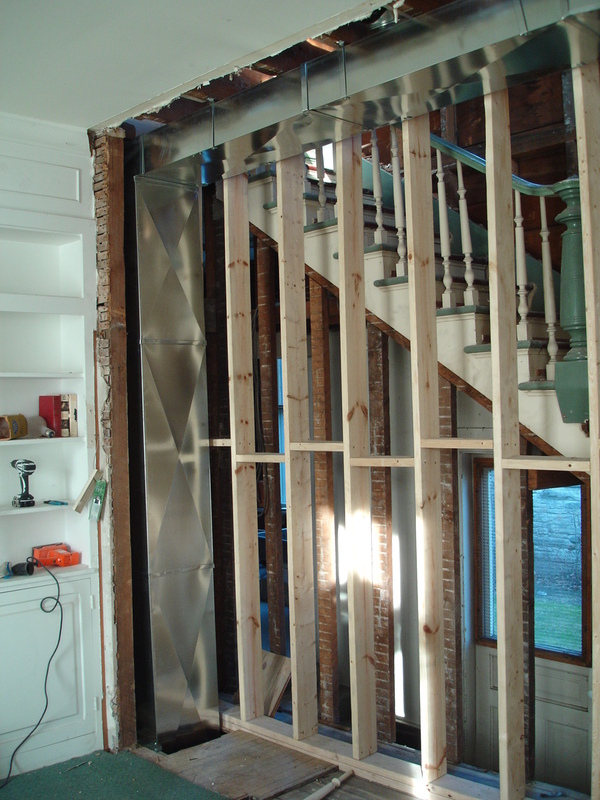 Then I built a new bearing wall in the living room so we can put in new and bigger stairs. 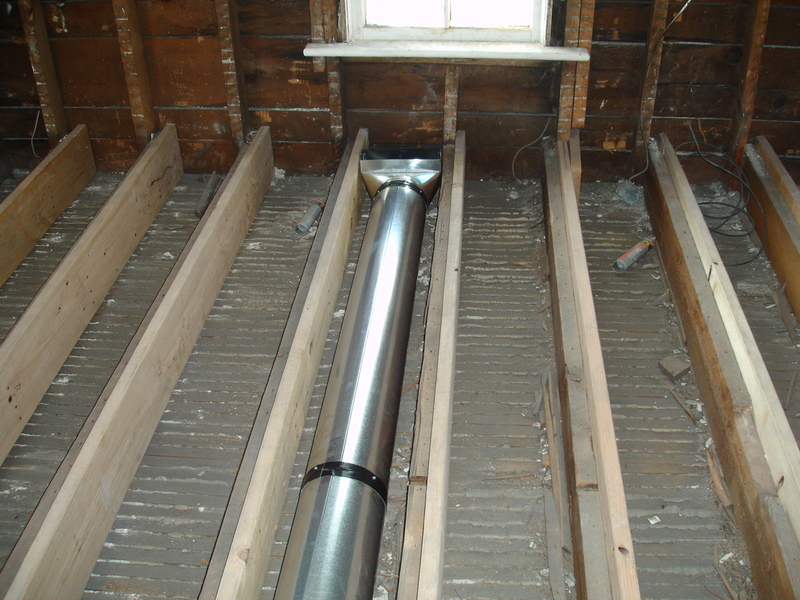 I sistered (glued, nailed and screwed) 20 foot 2×10’s to the old sagging upstairs floor joists above the Living room (those buggers are heavy pieces of wood). I did this to give a lot more support to the floor and to level the whole thing out. 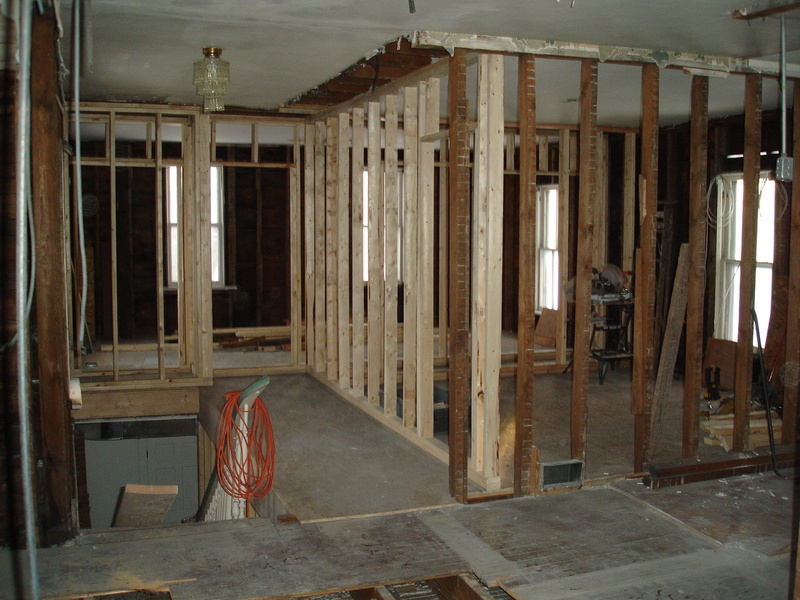 I have also completely gutted the main floor kitchen and half bath. Discovered a hidden brick chimney in the corner of the room and removed that. 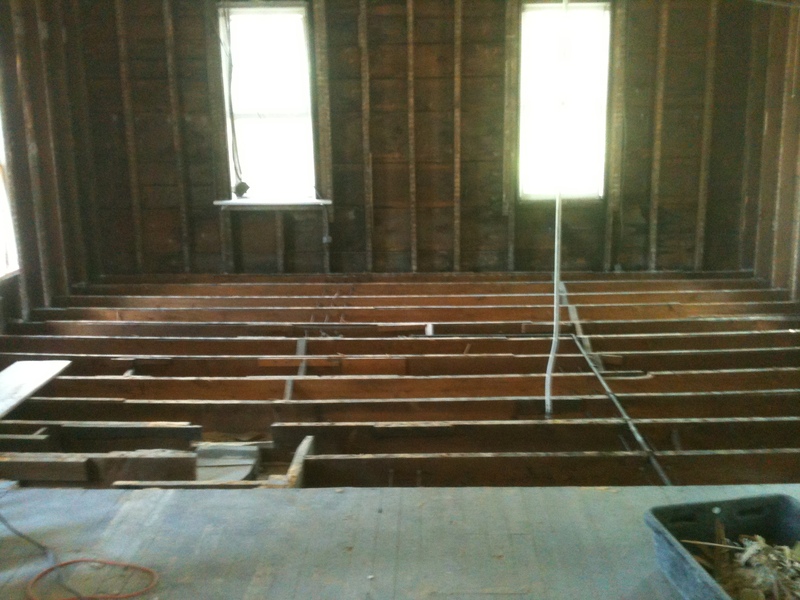 I gutted the upstairs bathrooms, broke up the cast iron porcelain tubs with a sledge hammer and removed the floor there in preparation for sistering new floor joists in that section like I did in the other. 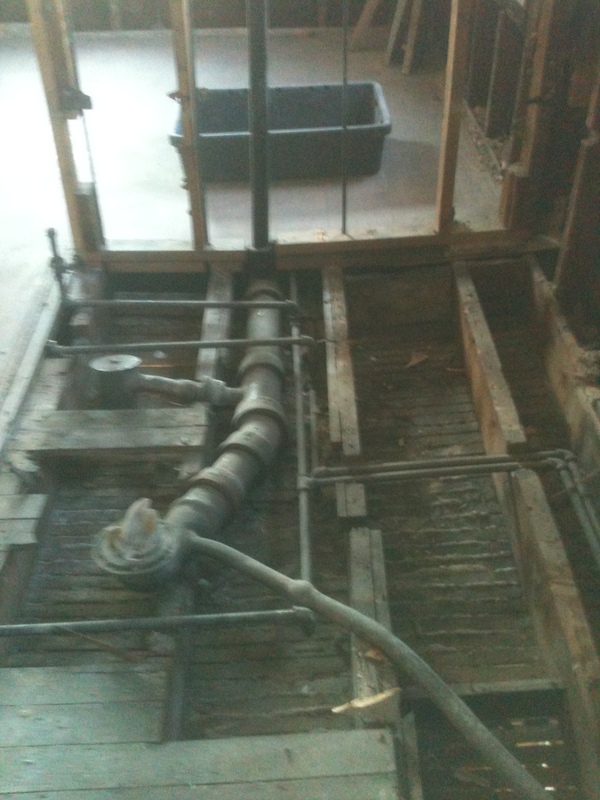 This also allowed me to cut out the existing cast iron plumbing drain system with a rented pipe cutter. Those pipes were really heavy, as was the tool to cut them. It’s no wonder the floor sagged. I have done all of this pretty much by myself. I only get to work on this as the funeral schedule allows so it’s kind of hard to get friends to help because I can’t plan things to far in advance. I’ve loaded three 15 yard dumpsters already and probably still have a couple more to go. It’s also been a big help to have google and youtube along with my Black and Decker Home Improvement “Bible”. I’ve learned a lot of this stuff from reading watching and having 4 hour marathon sessions of “Holmes on Homes” and “Holmes Inspection”. Between all of those sources I can usually figure most things out. I learned a saying from a wise old friend once. He said “Projects are 80% in the head and 20% in the hands”. He was right, so I do a lot of thinking and preparing before I start swinging a hammer. Now that I’ve learned so much, the rest of the project should go a little faster. We hope to have enough of it done to be moved in by summer time. I’ll be working on a post about what’s been happening at the Funeral Home next.